Friday has come around again! Time flies when you’re having fun in the garden! 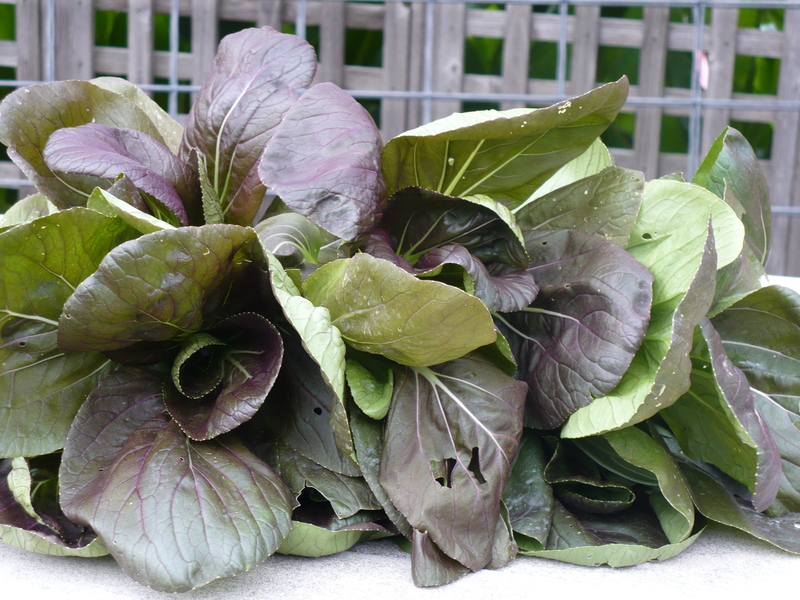 We harvested some of the purple choy this week. 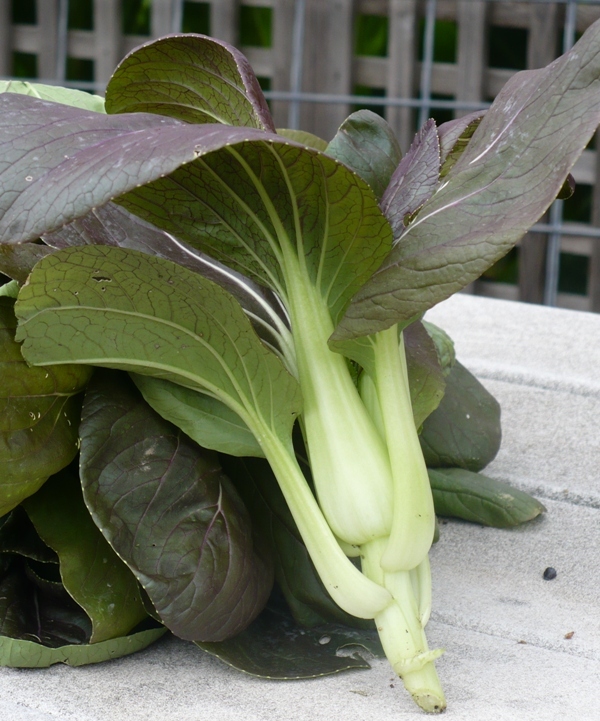 The choy is about “baby” size, so nice and tender and tasty! This will give the remaining choy plants space to grow bigger. I don’t know what it is about the shape of bok choy that draws me in, but something about the gentle curve of the bok choy stems makes me rush to find a new recipe to try! The last hurrah of the Family of 4 Garden peppers. They were tasty while they lasted. The two jalapeno plants and the 4 banana pepper plants outdid themselves this year. 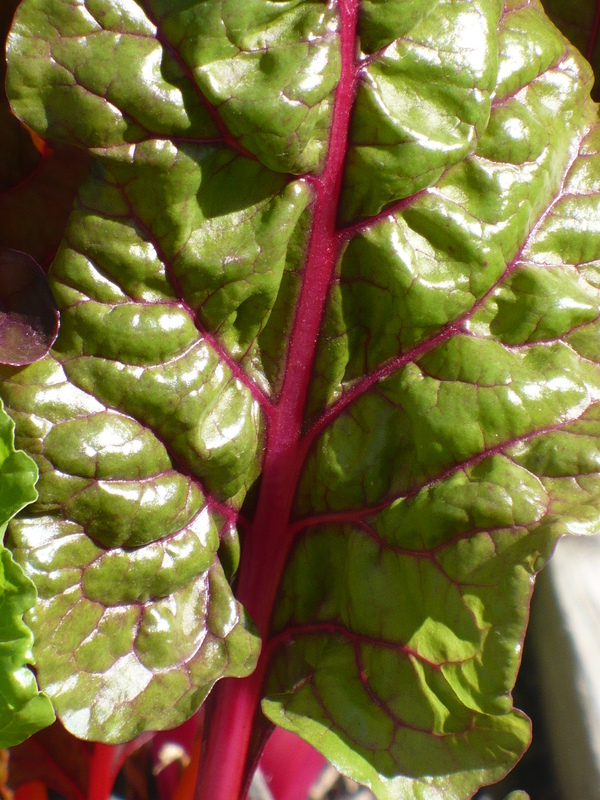 Clearly this is the reason to plant Swiss Chard – for picture taking purposes. It just looks so gorgeous! 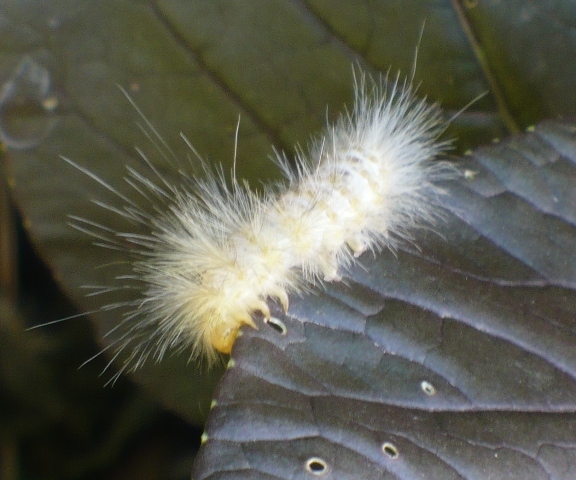 This white fuzzy caterpillar is living on the bok choy. It’s probably a tiger moth caterpillar. It doesn’t seem to be doing major damage, so I guess I’ll leave him be. I saw this grasshopper on a Brussel Sprout leaf this morning. Can you see the long antennae? The red eyes are pretty spectacular too. Have a great weekend! Don’t get too cold! 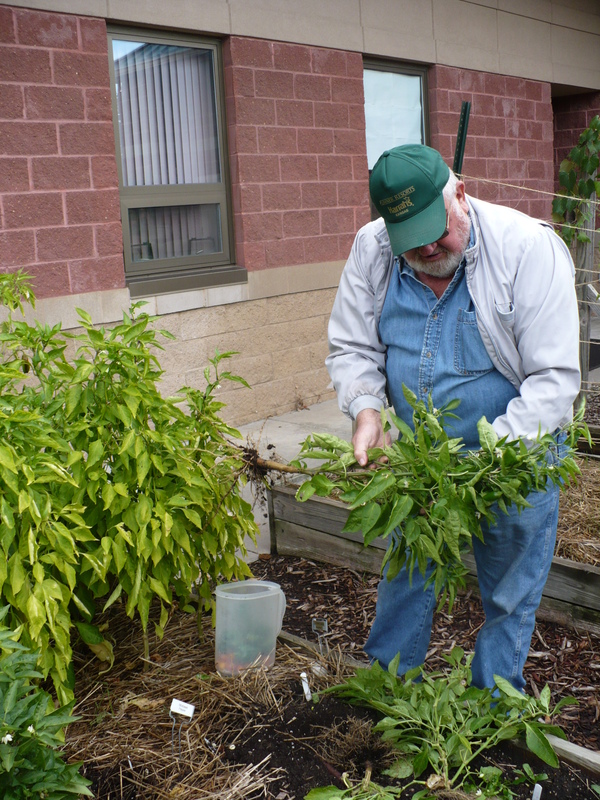 Posted on October 9, 2009, in PhotoEssays and tagged fall garden, insect problems, peppers, salad greens. Bookmark the permalink. Leave a comment.